Below are several figures from our analysis of SNP data being gathered by the Nickerson lab for the PGA study. This data consists of 24 African-American (AA) subjects and 23 European (CEPH) subjects. A table is available listing length sequenced for each gene and the number of SNPs found, nucleotide diversity and Tajima's D within each population and overall for each gene. Figure 1. 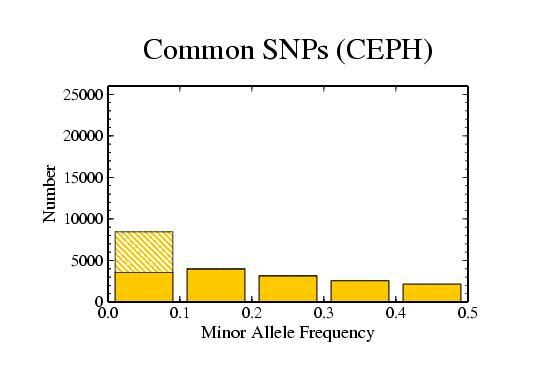 Number of SNPs for different frequency ranges. 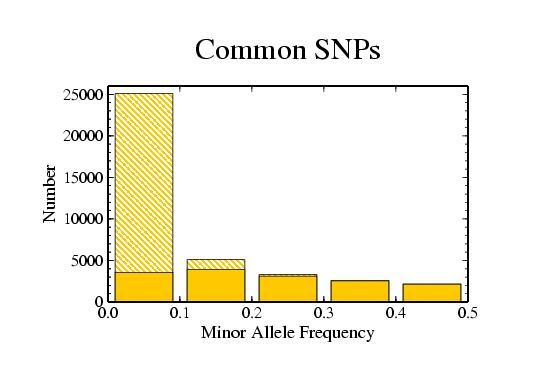 Solid bars show the number of SNPs that are common to both populations; hashed bars show the number of SNPs that are found only in one population. Figure 2. Same as in Figure 1 except just for the African American population. Figure 3. Same as in Figure 1 except just for the European population. Figure 4. 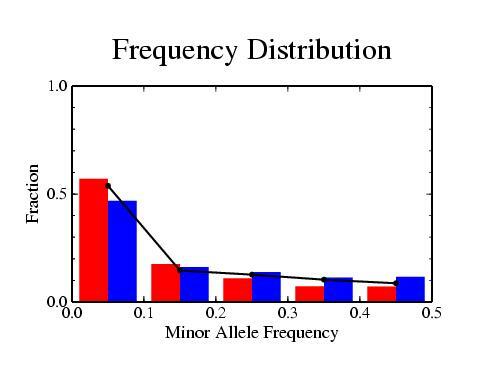 Frequency distribution for the African American (red) and European (blue) populations binned in 10% bins. The black line indicates the expected distribution under a neutral constant population model. Figure 5. 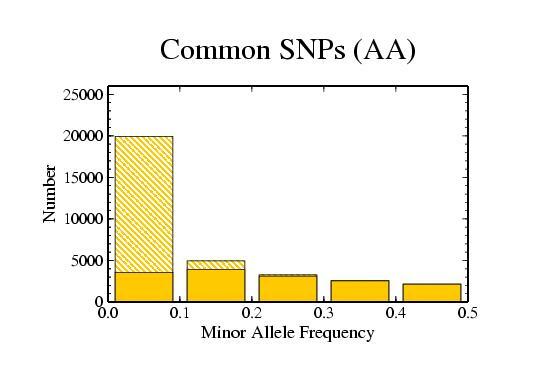 Same as shown in Figure 4 except the number of SNPs within each frequency range are plotted rather than the percentage within each frequency range. Figure 6. 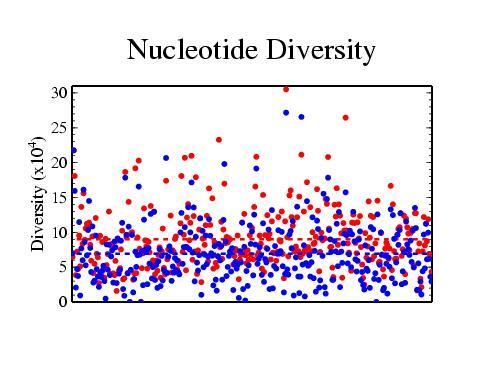 Nucleotide diversity for the African American (red) and European (blue) populations within each gene. 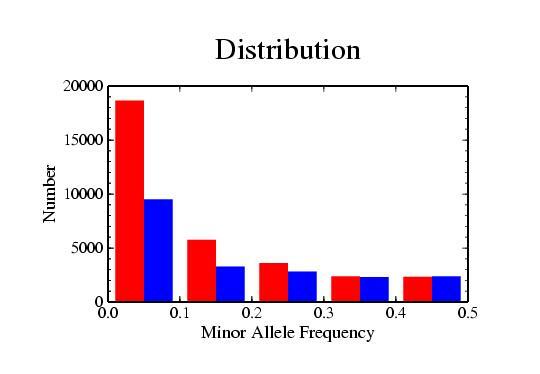 Dashed lines indicate the average values within each population.